The name of the yacht comes from a supernatural horse that changes his shape tormenting the Scottish rivers and streams. It was chose as an allegory of the disenchantment of the yacht’s hull measuring rules and the sail surface lineal structure. The main complain was that the reviewers were less strict with the lineal structure than what the designers and the builders had liked, though that was all right for the owners. For that Mylne, free of any kind of restriction, designed a 38 feet class for a group of owners disenchanted with the State builders. 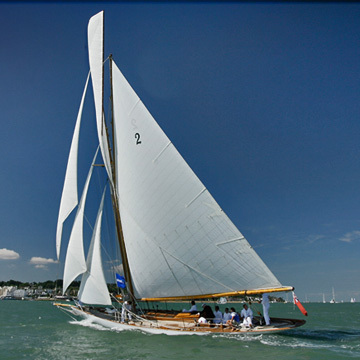 The Kelpie was built by JG Fay Fay & Co of Southampton in 1903 (before it became Camper & Nicholson) and designed by Alfred Mylne as a Solent 38 feet class to sail with 42 feet “Linear Raters”. The fact that the Kalpie still survives nowadays is a testimony of how Mylne created a yacht without restrictions of any kind for the rule. The story tells that the owners commissioned a new class but they decided to do it with a feast in honour of Queen’s Victoria approval. 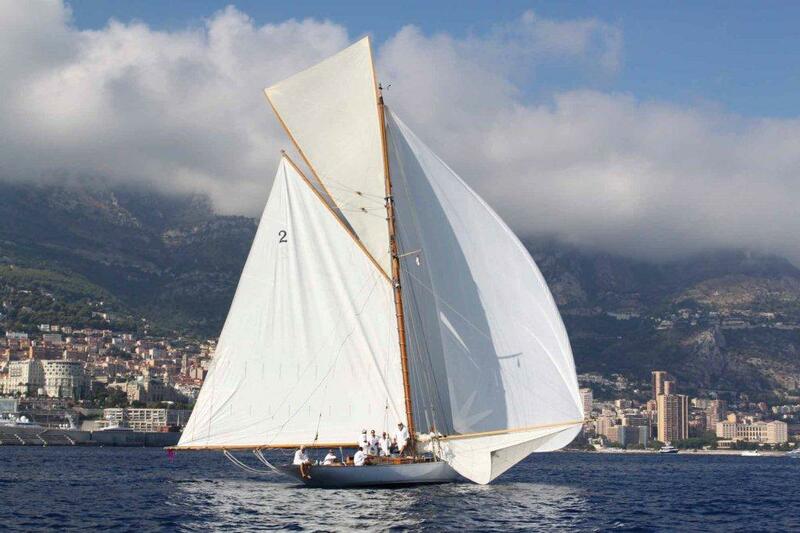 With the introduction of the Metric Rule in 1907, the Kalpie was classified as a 12 meters, therefore raced with the 12 M until the 1920 decade. Erskine Childers baptized the Kalpie in 1922 to introduce weapons in Ireland against the Irish Free State. Childers was captured and executed, but 600 carbines were moved to a fishing boat to Howth waters slipping away undetected. The Kalpi has survived the Second World War with its keel intact, even though many yacht owners renounced to their plumb keels during the war. After some other owners from the South Coast, came back to Dartmouth Yard of Nash & Holden, where it got the benefits of 15 years of thoroughly renovation, care and maintenance to guarantee its survival and current state. 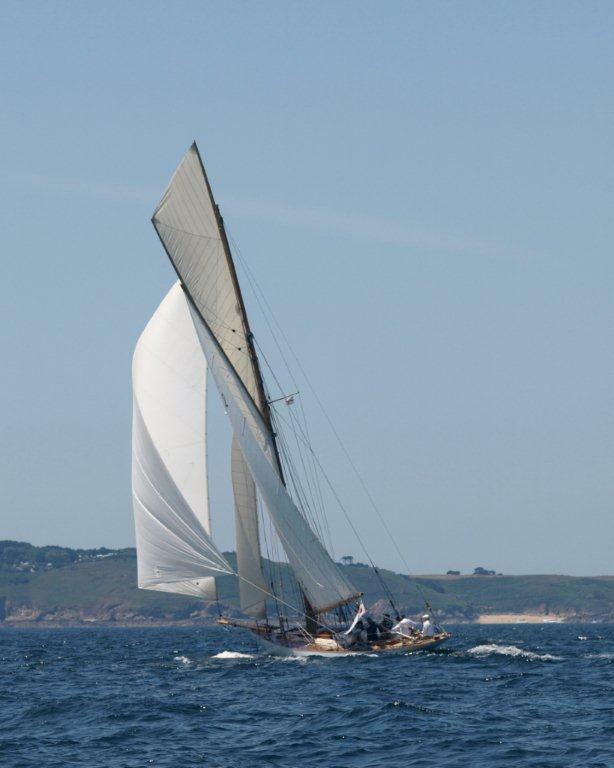 The Kalpie is one of the most breathtaking yachts of its sail period that still sails the United Kingdom waters. It offers an awesome view on sail, it’s fast and so easily manageable in good hands and it never fails on impress those who witness it.